The Financial Industry is one of the most regulated industries in the world. In addition to this, the rule that prevails is that financial advisors must adhere to state/federal regulations or the procedures of their firms, whichever are more stringent. Unfortunately, most firms’ procedures are significantly more stringent than what is required. They do this to limit liability since they have so many employees and advisors that they have to over-see. While this seems like it would provide more protection for consumers, this can actually prevent good advisors from effectively serving their clients. 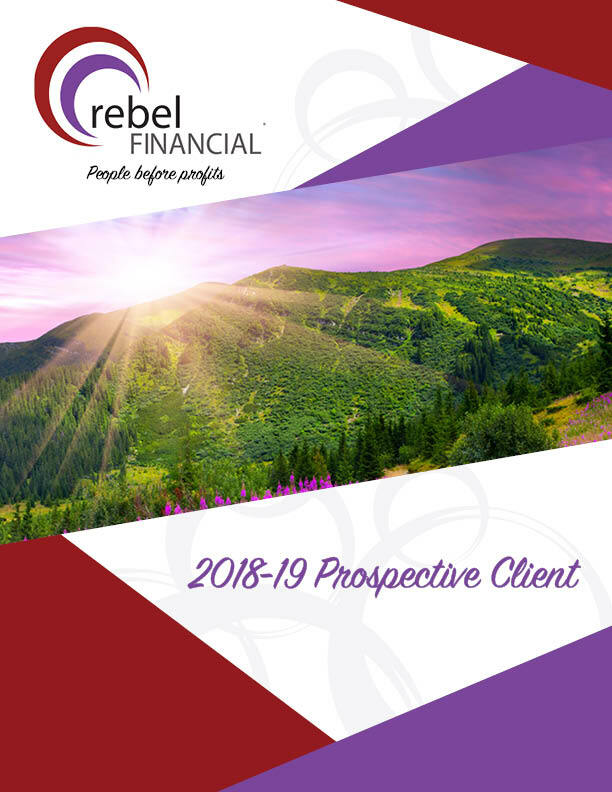 When we created rebel Financial, we were able to cut our bureaucracy and procedures down to the bare minimum requirements so that we have the ability to offer you the highest quality service and advice available, without the inefficiencies and complexities that hinder most financial firms. 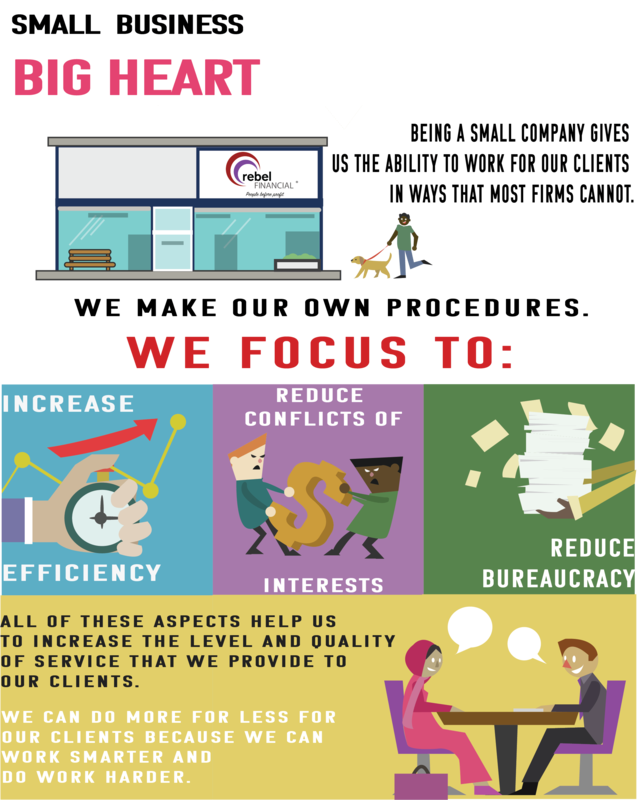 We charge a below average asset management fee and we want our assets under our management to grow over-time. We want to do a good job for our clients so that they remain clients and keep their accounts under our management for as long as possible. We are happy with the salaries that we earn from our fee structure and, over-time, as client account balances increase we will effectively increase our salaries to keep pace with inflation without having to increase fee percentages. Yes, we want to make a profit, but we do it in a way that is transparent, fair, and good for our clients.